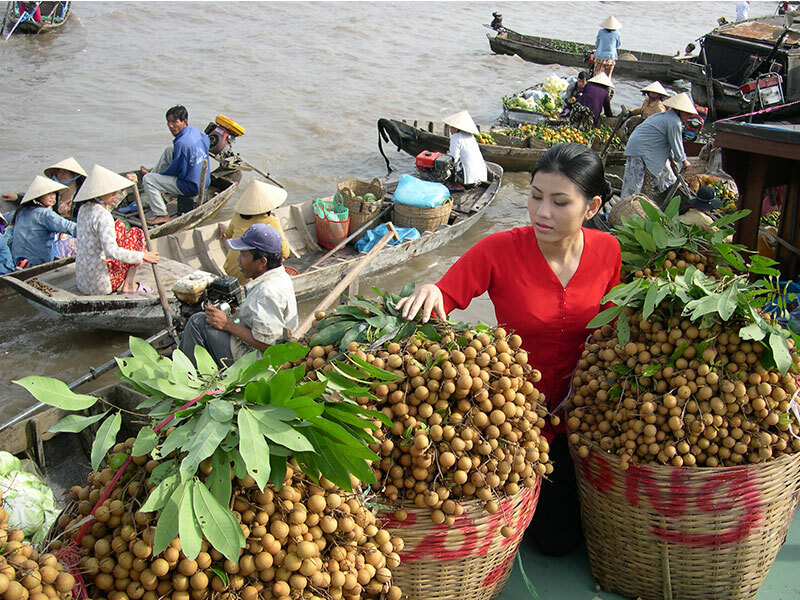 Journey to the Mekong delta area to see the agricultural heartland of Vietnam on this tour. 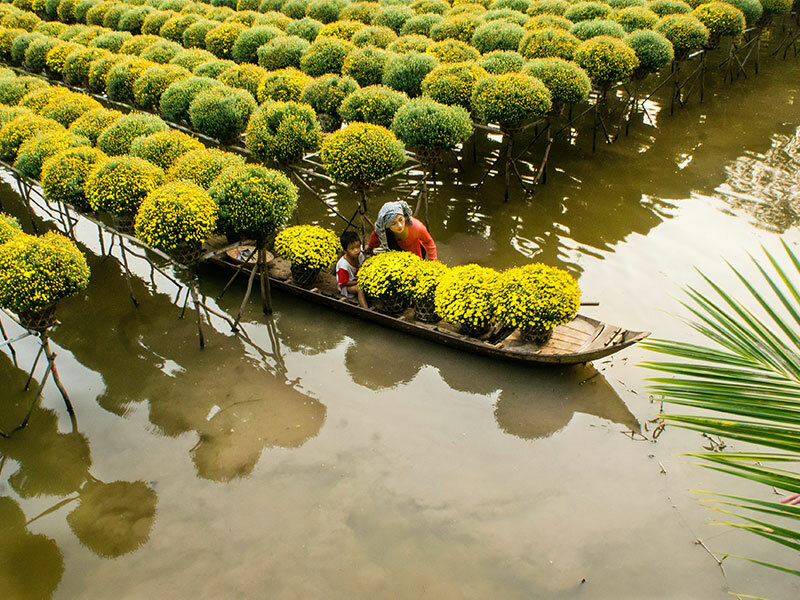 Boat down the Mekong, visit a bee farm, row a sampan down a canal, snack on tropical fruit, and see how the people live outside of Ho Chi Minh city. -	Explore My Tho, a former naval base and now a bustling port city in the Mekong Delta. -	Board a private boat and cruise the Mekong river. -	Visit an island with lush tropical gardens and get the chance to sample tropical fruit. Pick up at your hotel in Ho Chi Minh city by private car. 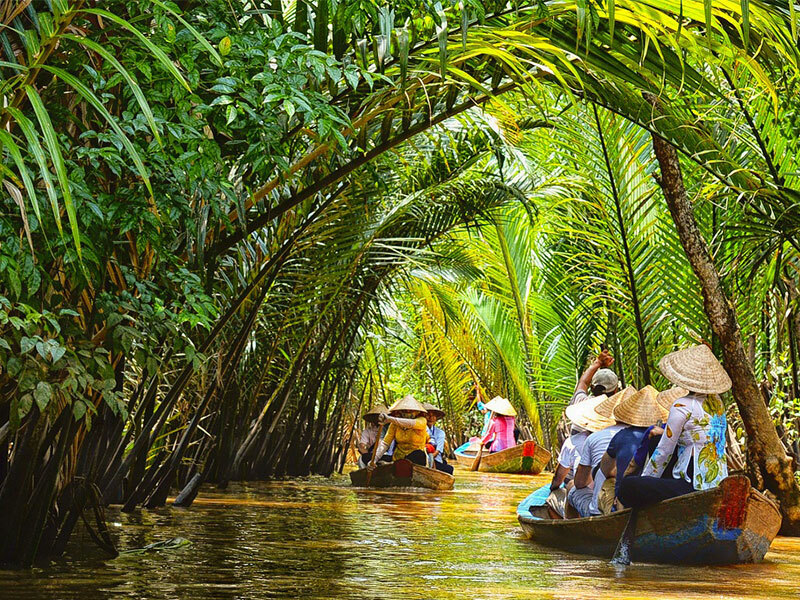 Take a full day trip to the watery world of the Mekong delta, just some hours by coach from Ho Chi Minh City. My Tho is a prosperous town of 175,000 inhabitants in the Mekong delta. 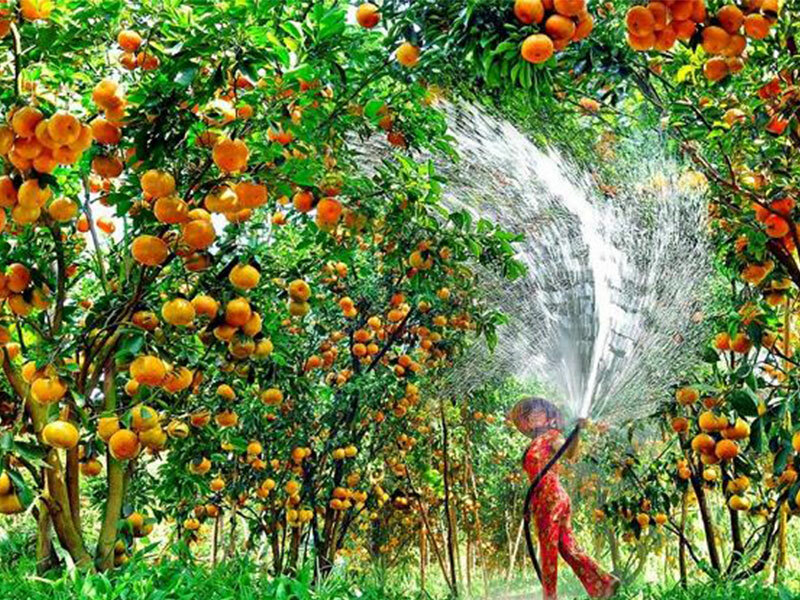 It is famous for its extensive orchards and immense rice fields. 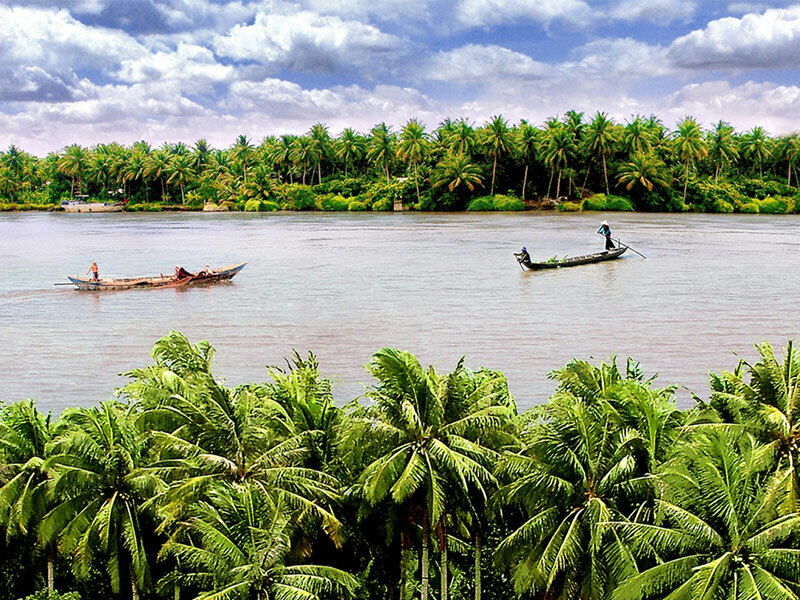 Take a cruise on Mekong river to visit islands. Here, you can have chance to visit coconut candy workshop & to taste fresh candy- specialty. Enjoy tropical fruits, honey tea & listen to Southern traditional music. 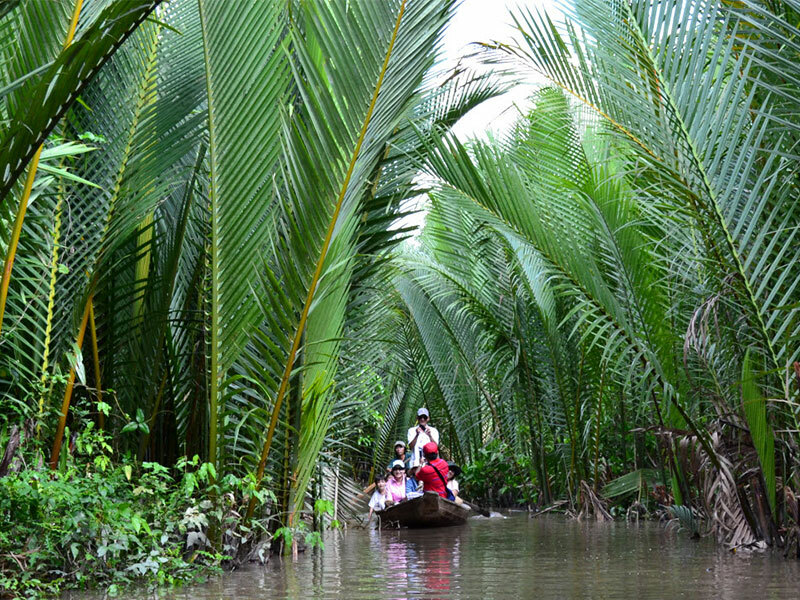 Get on a small boat to discover a natural canal of Ben Tre province. 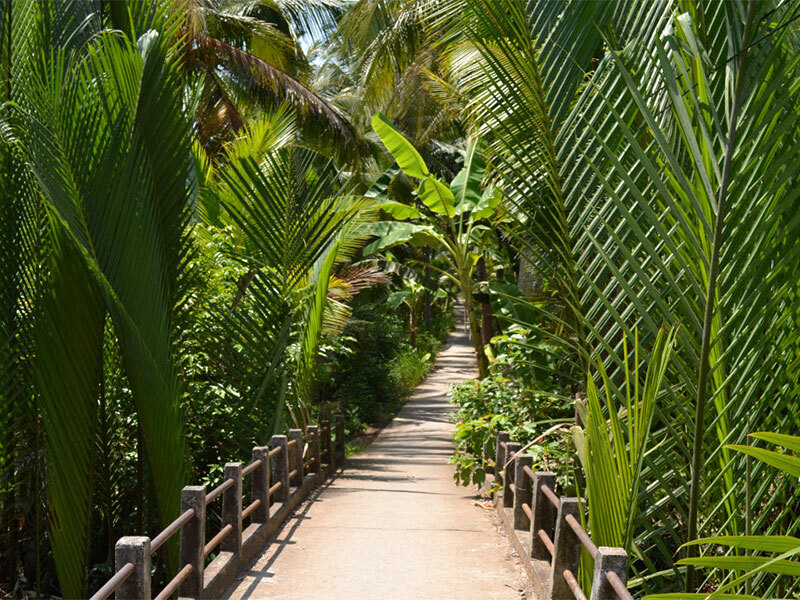 Take a short walk in the coconut farm to visit a typical house in Mekong delta. Back to big boat by rowing boat on small canal. Have lunch at garden restaurant with Vietnamese foods. Visit Vinh Trang pagoda. Back to Ho Chi Minh city. End of services.